Good news within the federal regulatory leviathan has been depressingly rare, perhaps most of all at the Federal Communications Commission (FCC). This week, however, brought a remarkably welcome development worthy of celebration. Even Democrats have attacked the scheme as a “massive new federal regulation,” and CFIF stands alongside a broad coalition of conservative and libertarian organizations in opposition. The initiative from the overactive FCC seeks to impose a one-size-fits all mandate to make cable TV set-top boxes artificially compatible with third-party entertainment devices. So even while cable companies themselves progressively and voluntarily move toward abandoning traditional cable boxes in favor of devices owned and maintained by individual customers as they prefer, Chairman Wheeler hopes to impose a 1990s-style regulation upon the industry. That would essentially freeze in place the increasingly outdated model of set-top cable boxes that is already becoming an anachronism due to market forces. Exacerbating matters, the proposal reeks of crony capitalism, as CFIF has highlighted. The proposal is a confluence of regulatory overreach, technological sclerosis and crony capitalism. Fortunately, this week’s decision within the FCC to delay a vote due to Wheeler’s apparent inability to persuade fellow Democratic Commissioner Jessica Rosenworcel to his side provides a rare victory against years of FCC regulatory onslaught. Although the bipartisan consensus among consumer groups, Congress, the innovation community and market participants must remain vigilant because the battle isn’t over, it’s welcome news worthy of note and celebration. CFIF remains vigilant in sounding the alarm about a costly new crony capitalist “Clean Energy Standard” (CES) boondoggle in New York state, and a new report this week from the Empire Center for Public Policy further exposes the destructively high cost that state citizens and businesses will pay under the plan. The CES is a global warming alarmist scheme unveiled last month by New York’s Public Service Commission (PSC), whose members were appointed by Democratic Governor Andrew Cuomo. The plan imposes a draconian demand that at least 50% of the state’s energy will come from carbon-neutral plants like solar and wind by just 14 years from today. The CES plan would compel New York power generators to purchase “Zero Emission Credits” (ZECs) from carbon-neutral generators through a state government bureaucracy, which would in turn be handed to struggling upstate nuclear power plants. Not only is the plan extremely costly – at least an additional $1 billion in the first two years alone, and an estimated $8 billion over the CES plan’s lifespan – but it amounts to yet another governmental example of crony capitalism because it benefits a single company named Exelon. The new standard’s goal for solar power would translate into roughly 200 times the capacity of New York’s largest existing utility-grade solar panel farm, which is at Brookhaven National Laboratory on Long Island. It also calls for enough new land-based wind turbines to cover, at a minimum, an area the size of Putnam County. Most of the added solar and land-based wind-generating capacity would have to be located upstate – but nearly two-thirds of the state’s electricity is consumed downstate, and power lines linking the regions aren’t up to the task. In fact, the transmission grid already required extensive upgrades before the new mandate was imposed, as Governor Cuomo acknowledged when he pushed during his first term for grid improvements called ‘the Energy Highway.’ But the highway is stalled, and the Clean Energy Standard doesn’t deal with the issue. It’s bad enough that the CES constitutes yet another example of unnecessary crony capitalism perpetrated by the climate change-industrial complex. With the Empire Center exposing just how costly it will be for New York state citizens and businesses, there’s no excuse for failing to stop it before the damage is done. 5:30 CDT/6:30 pm EDT: Mark Chenoweth, General Counsel of the Washington Legal Foundation – SCOTUS October 2016 Term and SCOTUS NOT Top 10 from October 2015 Term. How much more in your monthly utility bill would you be happy to pay to combat global warming? Probably not much, if anything. Unfortunately, New York state residents are being lectured that they shouldn’t have any choice. That’s the upshot of a festering crony capitalist utility boondoggle cooked up by state legislators in the name of global warming alarmism, as we at CFIF detailed earlier this month. By way of refresher, the New York Public Service Commission (PSC) approved a new “Clean Energy Standard” (CES) last month, which requires that carbon-neutral sources account for at least 50% of energy generated in the state by the year 2030. Making matters worse, CES provisions require power companies to buy Zero Emission Credits (ZECs) from a state government bureaucracy to benefit financially struggling upstate nuclear energy plants. Those subsidies guarantee $1 billion for the struggling plants in the first two years of the plan alone, with an estimated $8 billion over the full course of the CES plan. And these subsidies will reportedly benefit a single company named Exelon, which controls the struggling plants. Think of it as New York’s own little Solyndra boondoggle. Naturally, the cost of this scheme will fall upon New York residents and businesses, regardless of whether they receive any power from the subsidized nuclear plants upstate. To their credit, state lawmakers recognized the numerous flaws in the CES plan and spelled them out in a recent letter to PSC Chairwoman Audrey Zibelman, also demanding a more open public accounting. Then came the best (or worst) part from Chairwoman Zibelman. Namely, she repeated the debunked claim that global warming causes hurricane activity and that we’d only witness more and more soon. More informed Americans, however, will recall that after Hurricane Katrina in 2005, we were told that global warming was the cause, and we’d only see more and more Katrinas as a result. Instead, the U.S. has now gone the longest stretch in history without a major hurricane. Regardless, the bottom line is that New York’s CES plan is a crony capitalist, global warming alarmist boondoggle. It can’t be justified on any rationalization, least of all false global warming illogic. 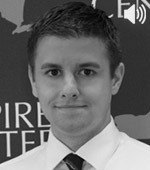 In an interview with CFIF, Ken Girardin, Communications and Marketing Manager at the Empire Center for Public Policy, discusses New York Governor Cuomo’s so-called Clean Energy Standard, how it will force electricity ratepayers to subsidize money-losing nuclear plants and costly windmills, solar panel farms, and why taxpayers outside of New York should be concerned as well. The political tyranny du jour among climate change alarmists is leveraging the power of the state to persecute anyone who contradicts their orthodoxy using actual facts and data. As we’ve highlighted, that abusive effort has blown up in their faces, including countersuits from targeted organizations. It’s rare to find a 69% to 15% public agreement on anything these days, but it’s worth celebrating that despite the constant onslaught of demonizing rhetoric from climate change alarmists, the overwhelming majority of Americans continue to reject their agenda. 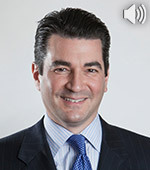 5:30 CDT/6:30 pm EDT: Dr. Scott Gottlieb, Resident Fellow at the American Enterprise Institute – Zika, the Cost of Specialty Drugs, and other Health Care Issues in the News. 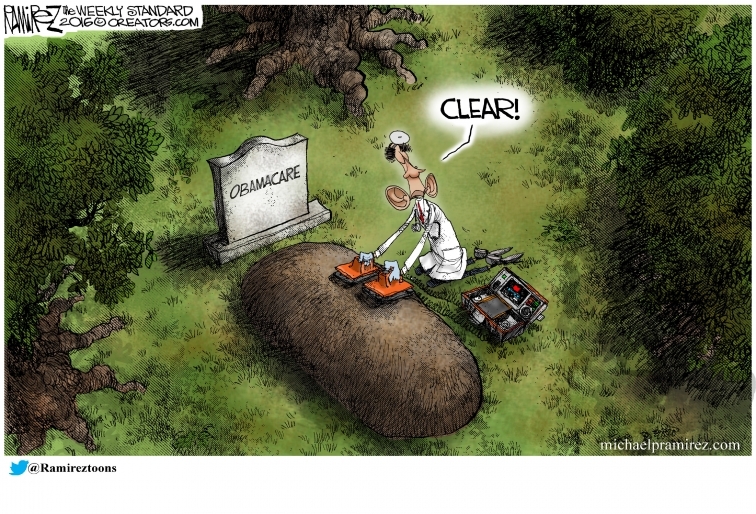 Nancy Pelosi infamously claimed we must pass ObamaCare to find out what’s in it. Well, Americans are finding out what’s in it firsthand, and they’re liking it even less. Best Letter to the Editor of the Year So Far? What a shame the late Ambassador Christopher Stevens didn’t go through Cheryl Mills or Huma Abedin when he first sought out Hillary Clinton and her State Department for increased security in Libya. Maybe they could have told him the suggested minimum contribution that would have yielded results before it was too late. This is the proverbial smoking gun theory in reverse. Those who didn’t pay, didn’t play and didn’t live to tell about it. Disgraceful. Most bizarre of all? ObamaCare’s failures are prompting more and more leftists to openly advocate a complete government takeover of the healthcare system and imposing a single-payer plan. In other words, we’ve gone from promises that choice in healthcare providers won’t be impacted by ObamaCare to open advocacy of a system with zero choice whatsoever. This is how liberalism works, a slow march to mass submission.